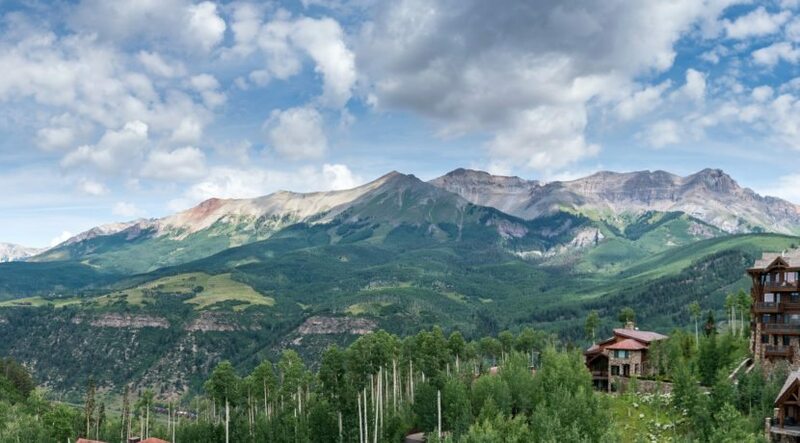 Peaks Penthouse #623 is the ultimate in beauty and luxury. 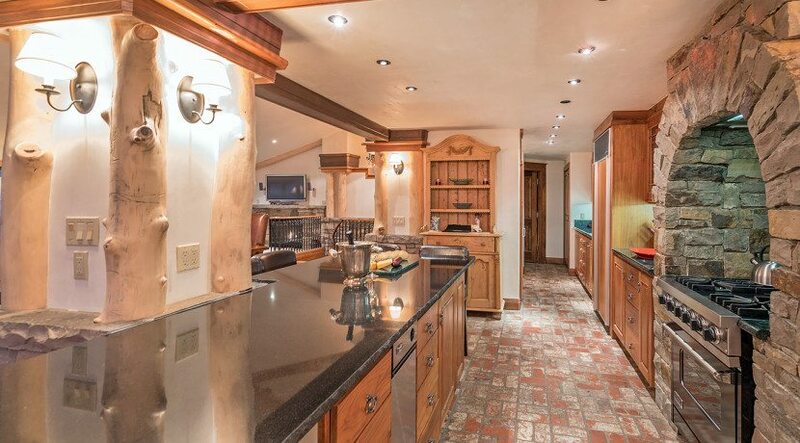 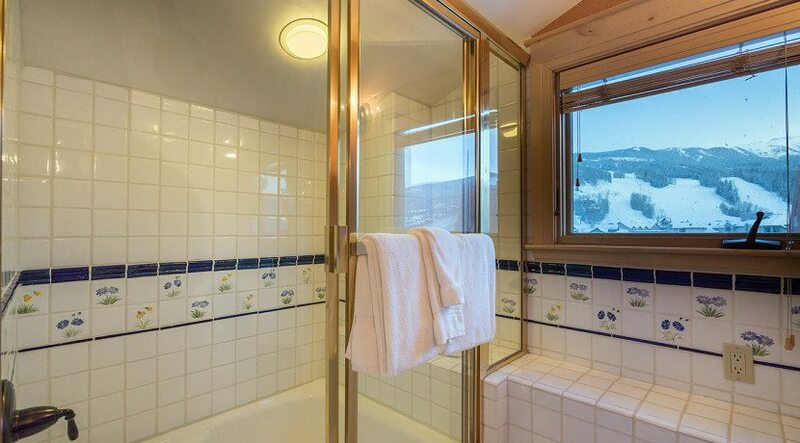 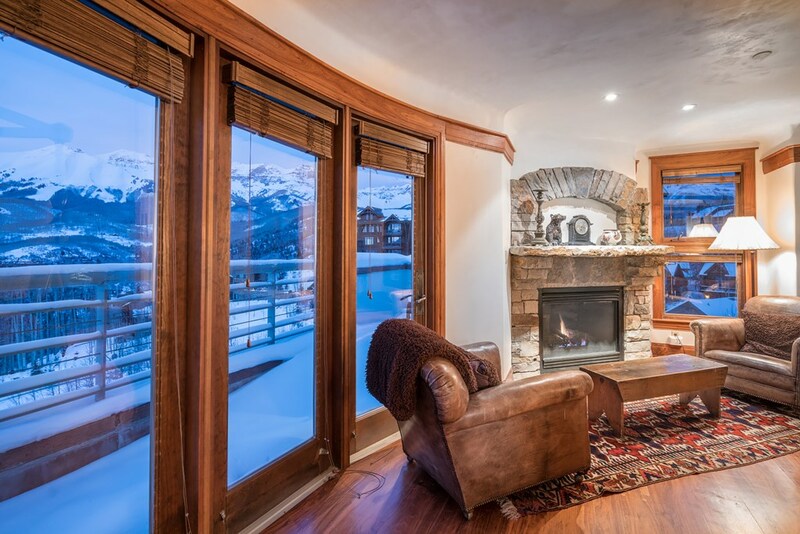 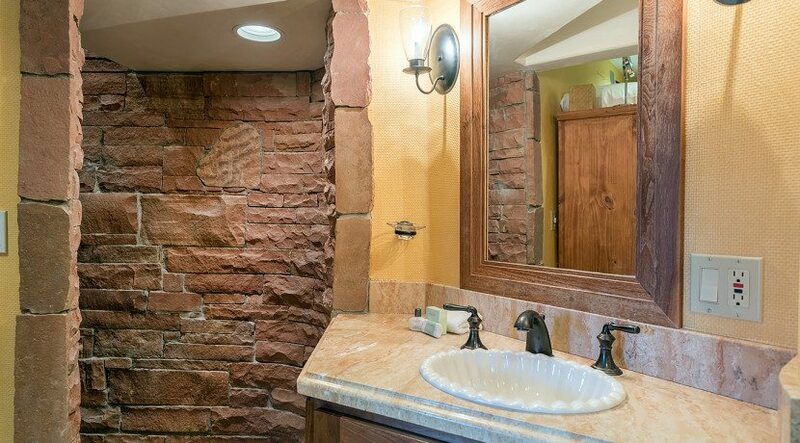 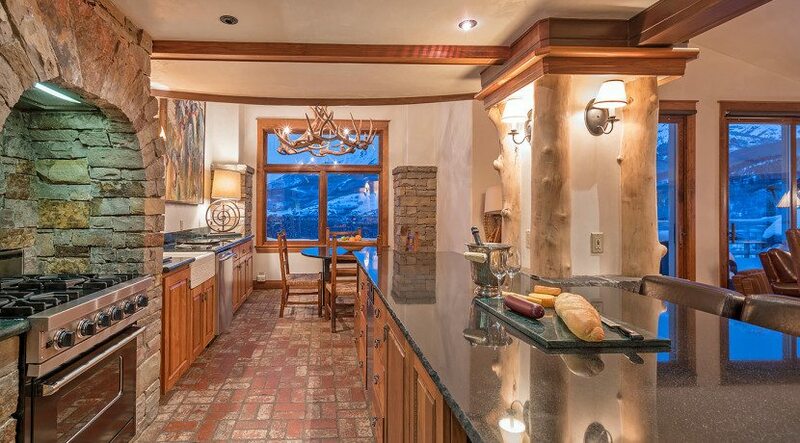 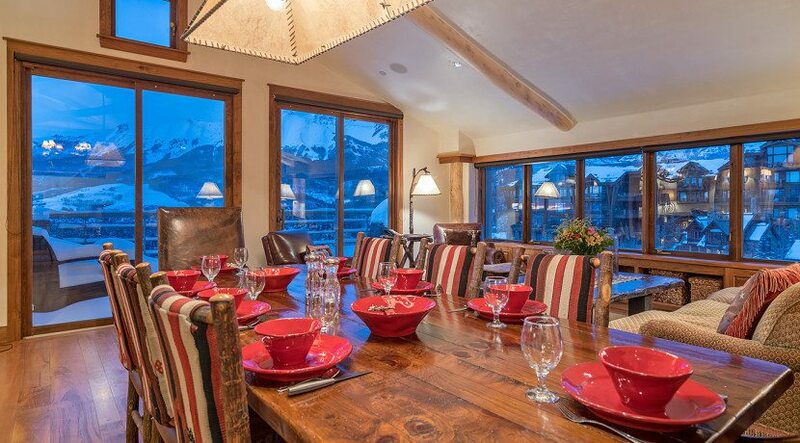 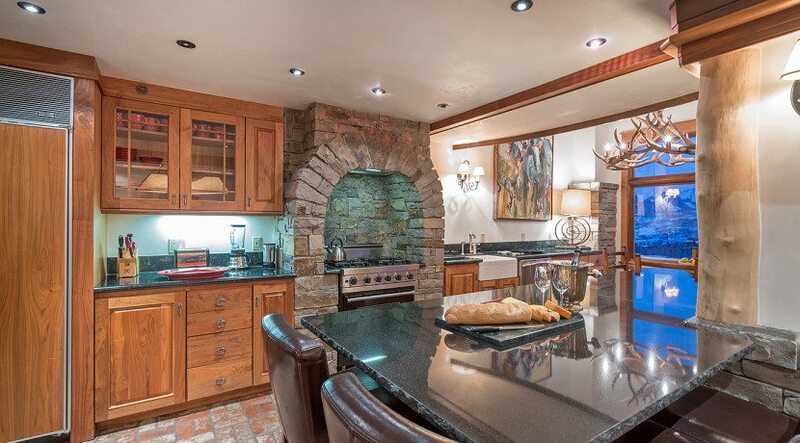 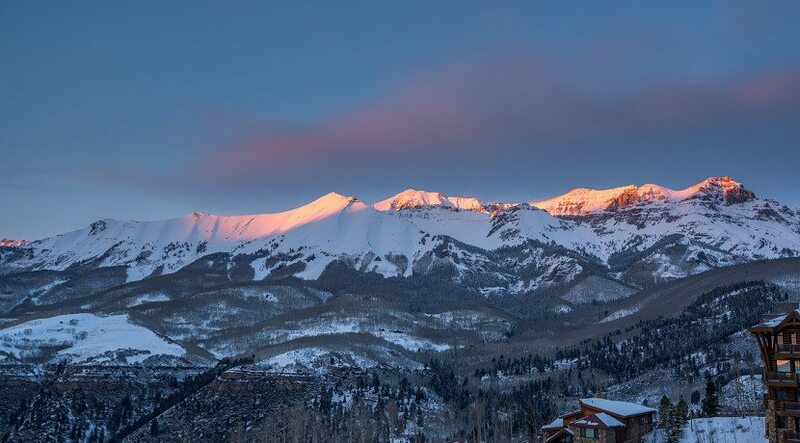 A 3 level private residence located in The Peaks Resort, this 4 bedroom/3½ bathroom penthouse provides an unrivaled experience in the heart of Telluride’s Mountain Village. 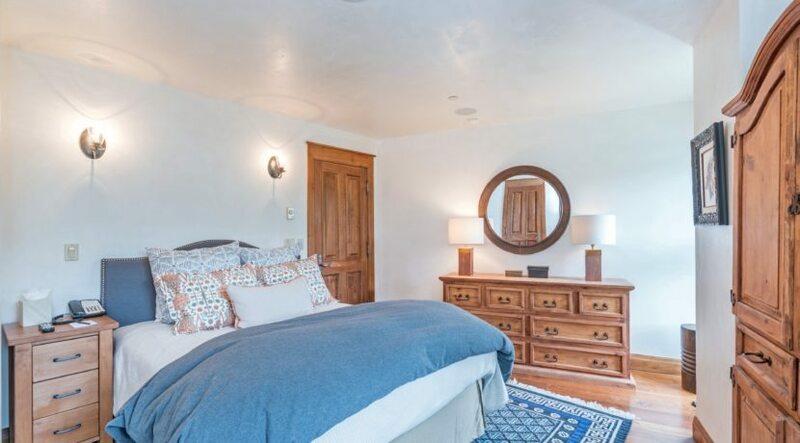 The first floor boasts an inviting entry foyer, master bedroom suite, 2nd bedroom with en suite bath, 3rd bedroom and laundry room. 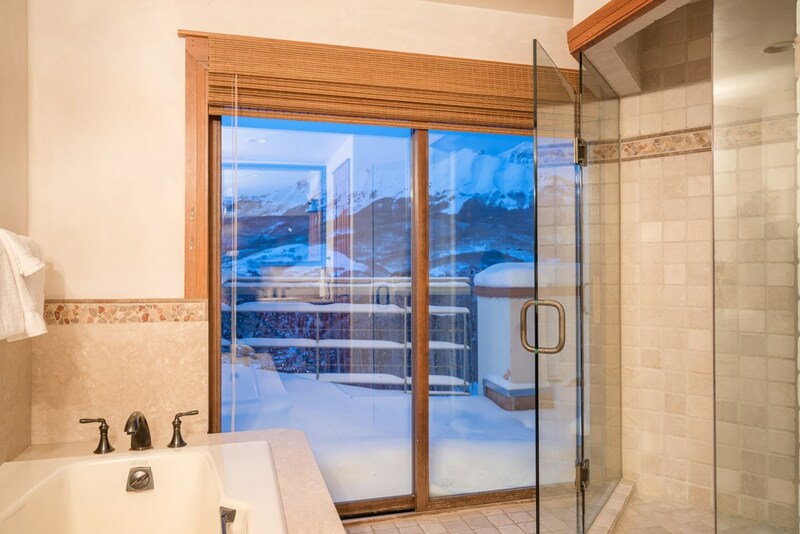 The spacious master suite enjoys floor to ceiling windows, a private balcony for stunning views of the San Sophia ridge, stone fireplace, king canopy bed, and en suite bath with jetted soaking tub and separate steam shower. 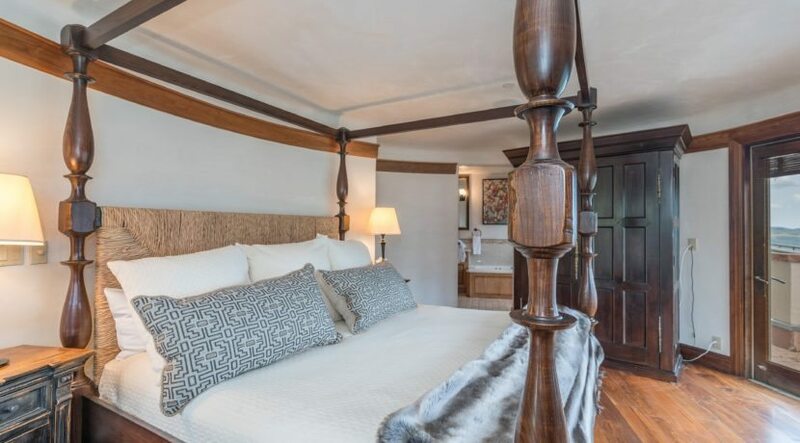 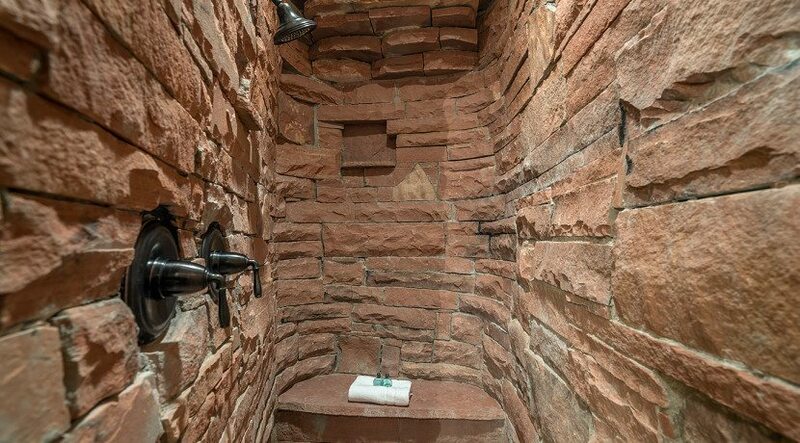 The second bedroom suite is appointed with a queen bed and en suite bath boasting an impressive stone grotto-style walk-in shower. 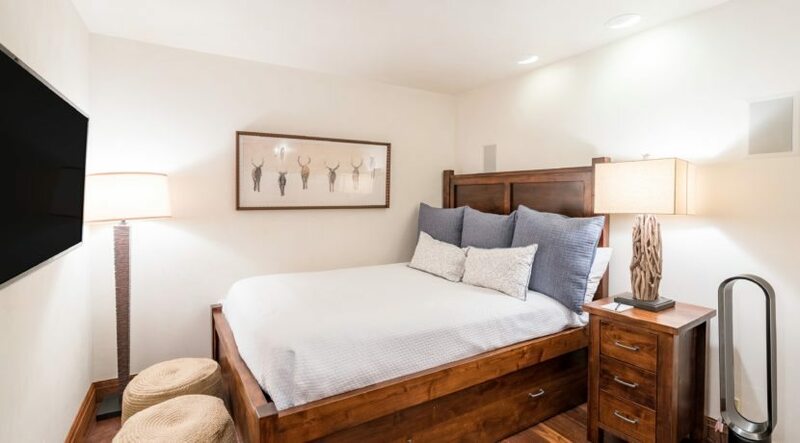 Also on this level is a newly remodeled 3rd bedroom with queen bed and twin trundle which is perfect for kids or a couple. 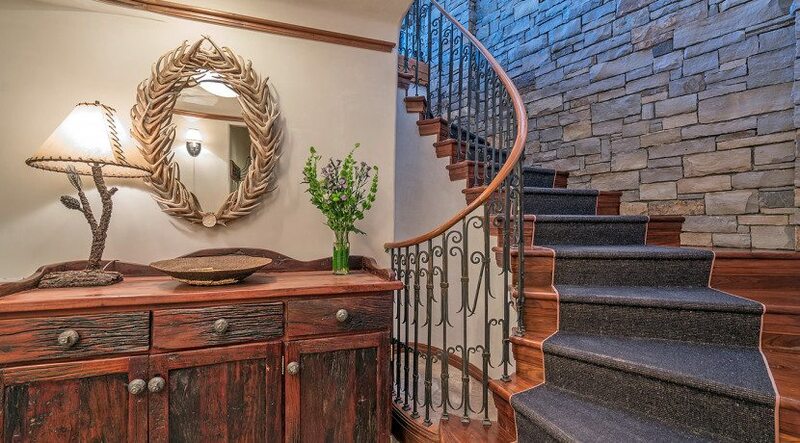 A beautiful spiral staircase dramatically leads upstairs to the great room with two spacious seating areas including stone fireplace, entertainment center, an impressive dining area table, large gourmet kitchen, breakfast nook, and 1/2 bath. 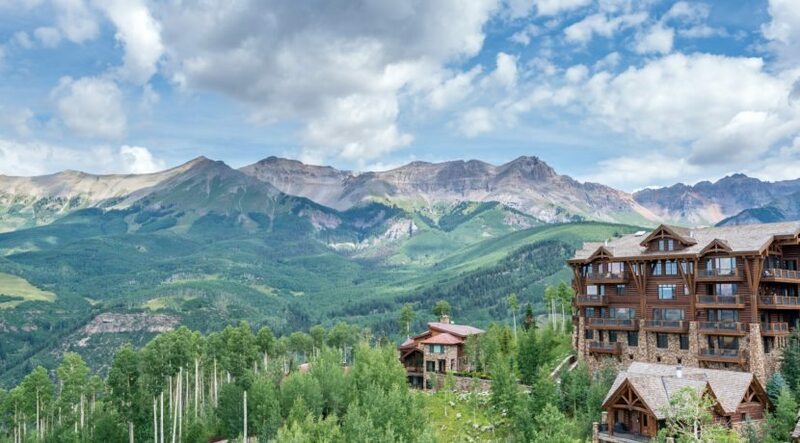 The wrap around wall of windows and the large balcony let you take in the breathtaking beauty of Mountain Village and the San Sophia ridge. 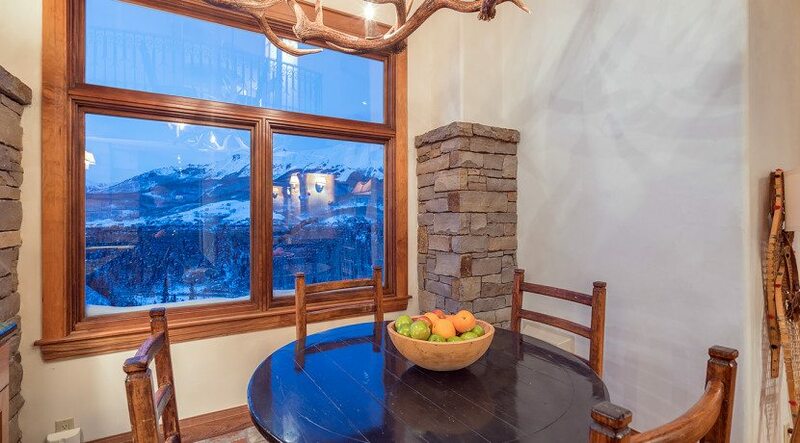 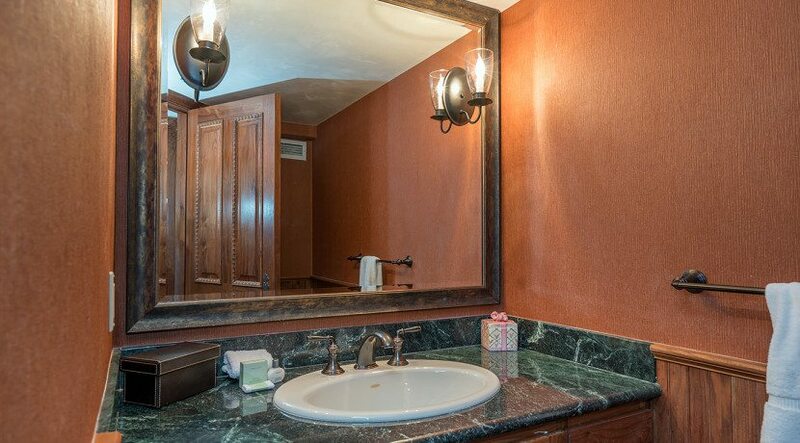 Beautiful wood floors, granite counter tops, stone work, and fine wood cabinets set the tone for the elegant mountain atmosphere of this penthouse. 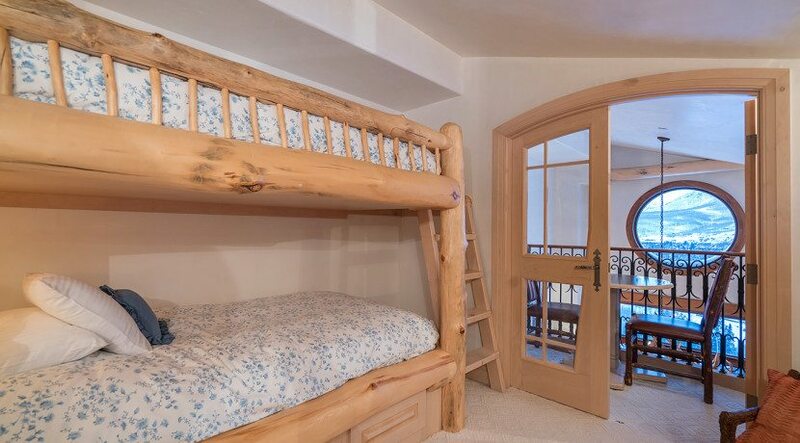 From the living area, a second set of spiral stairs leads up to the 4th bedroom suite which features 2 large built-in bunks, small balcony seating area, and full private bathroom.